Since my previous post about the Turkish Pointer, I've received a few questions and comments regarding the origins of the breed, its 'double nose' and it's hunting style. Answers/replies below. Origins: Personally, I believe that the Turkish Pointer is a transplanted Pachon Navarro. The most plausible explanation for it's origin is that somehow, probably in the 1920s or 1930s a small number of Pachones made their way to Turkey from Spain. 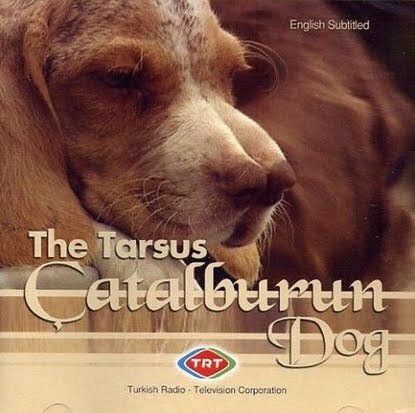 Over time, a small local population formed in the Tarsus region and became known as the Tarsus Catalburun (Turkish Pointer). Double Nose: All dogs have a slight crease between their nostrils but it is usually no more than a very shallow line. But many Pachones and Turkish Pointers have nostrils that are clearly divided by a much deeper furrow making it look like the business end of a side-by-side shotgun. This is the famous “double nose” referred to in the old literature. Anatomically, it is actually a cleavage in the structure of the nose itself. It is not unique to the Pachon Navarro. In fact a good number of breed standards mention a split or double nose but when they do, it is always listed as a serious or disqualifying fault. It is interesting to speculate just how the double nose came to be viewed as a positive characteristic. It is certainly possible that an individual with a split nose just happened to be an excellent hunter with a very fine sense of smell. Was this then seen as “proof” that at double nose was better than a regular nose? Nowadays of course, breeders understand that the double nose offers no advantage over a normal nose and that it is simply a cosmetic feature of the breed. Furthermore, not all Pachones and Turkish Pointers have a double nose. Nor do all breeders select for it. Pachon breeders understand that by using double-nosed dogs in their lines, they run the risk of producing pups with completely cleft palates. I was told that up to 10% of pups are either stillborn or are put down immediately after birth since the cleft is so profound that the they are incapable of breathing or nursing properly. But most Pachones have a moderate cleft and are fine. They can breathe and suckle, run and hunt just like any other dog. Hunting Style: I found a pretty neat video the other day showing a Pachon Navarro hunting. It is pretty much exactly what we saw in Spain when we were there to photograph them and if you read the old literature from Spain and from England about how the classic old spanish pointers hunted, my guess is that if you could go back 300 years or so and watch the first "Spanish Pointers" brought to England hunting, you would see more or less exactly what is in the video. UPDATE: A recent article by well known Spanish dog expert Dr. Jose Manuel Sanz Timón explores the connection between the Pachon Navarro and the Turkish Pointer. Sanz Timón feels that we may need to re-examine our theories of the Pachon's origin, suggesting that the Turkish Pointer may in fact be its predecessor. Coincidentally, Sanz Timóns blog post appeared just a few days before this one. However, I was unaware of his post at the time and only read it today, after the good Dr. brought it to my attention. My post on the Pachon-Turkish Pointer connection was inspired by a discussion on the versatiledogs forum that followed my article on the Turkish Pointer published on June 17 and based on breed description found in my book published in 2011. In any case, I am happy to see that the Turkish Pointer is getting some much needed attention. When I first started researching it in 2008, I could find almost no information on it. But I eventually contacted and interviewed Umit Dincer, who wrote a book about the breed. Now, there are several websites and blogs about the Turkish Pointer and even a few videos on YouTube and elsewhere. Personally, I am not convinced that the Turkish Pointer predates the pointing breeds developed on either side of Pyrenées mountains in the 13th century. Of course, hunting dogs certainly existed in Turkey, and everywhere else, since the dawn of civilization. But training, selecting and breeding dogs specifically to seek and point game seems to have been a European thing, not an eastern or mid-eastern thing. The fact that many Turkish Pointers and Pachon Navarros have split noses and other similarities in physical attributes suggests that they may be related, but offers no evidence one way or another for which one came first. In addition, a split nose is actually listed as a fault in many breed standards indicating that it can occur from time to time in just about any breed (in the same way as a cleft palate can occur in humans). In 1913, a small population of dogs with split noses was also found in Bolivia and recently 'rediscovered'. Does that mean they are related to Turkish Pointers and Pachon Navarros? And if so, which one came first? Until very recently the Turkish Pointer, a.k.a. the Tarsus Catalburun, was a completely unknown to hunters outside of Turkey. Today, most people still know nothing about it, even in its homeland. Tarsus is a 2,000-year-old city in south central Turkey. In ancient times it was the capital of the province of Cilicia and was the scene of Mark Antony and Cleopatra’s romance as well as the birthplace of Saint Paul. Today the city is a popular tourist destination and an important industrial center. It is known that pointing dogs have been in the region since at least the 1930s, but no one knows exactly how or when they arrived. Some believe that the Turkish Pointer may be an indigenous breed of pointing dog that has been around for centuries. It may have developed in the region long ago and then made its way to western Europe, either while much of Spain was under Arab control in the 8th to 11th century, or when European Crusaders returned from the Middle East in the 12th century. If so, then the Turkish Pointer would be the great-grandfather of all the pointing breeds in the world today. A Turkish origin for all pointing dogs is an intriguing idea, but it is not supported by the available evidence. No one disputes the fact that certain types of dogs were introduced to western Europe from the Middle East and North Africa. But there is no reason to believe that any of them were pointing dogs, and many reasons to believe that they were not. 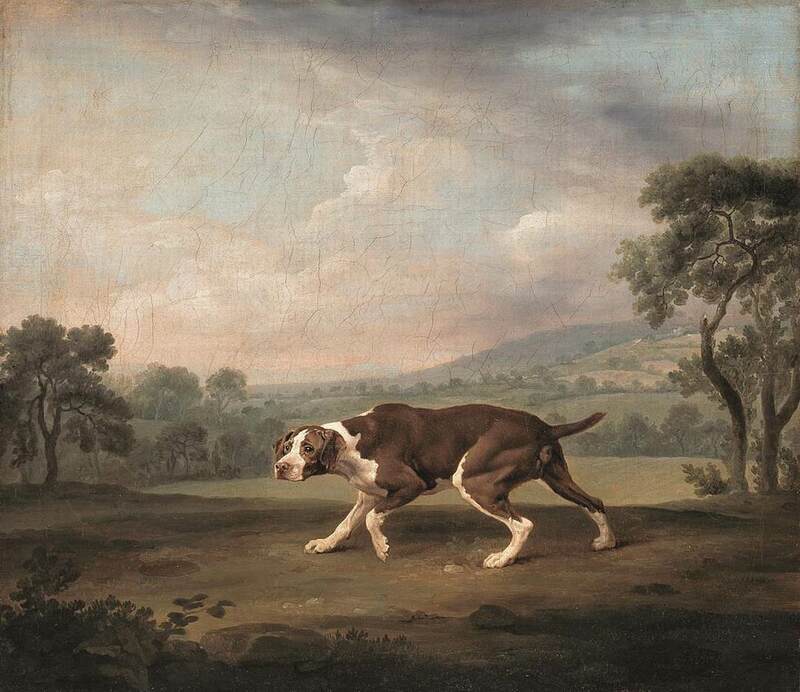 As we’ve seen in the historical overview in the Introduction, pointing dogs have never been a part of Middle Eastern or Asian hunting traditions. Even today hunters still practising traditional Oriental hunting methods do not employ pointing dogs of any kind. It is also quite telling that there are no illustrations, photos or written references to pointing dogs in the Tarsus area before the 1930s. So it is far more probable that the Turkish Pointer is in fact a sort of landrace that developed in the Tarsus region out of a nucleus of European dogs imported in the 19th century. The Turkish Pointer has a classic shape and hunting style that harkens back to a bygone age and, like the Pachón Navarro, it has a “double nose”. In fact, its name in Turkish, Catalburun, is derived from this trait; catal (pronounced chatal) means “fork” and burun means “nose”. They generally hunt at a trot but will occasionally gallop, depending on the cover they are working. Since the breed is most often used in very bushy terrain or areas of thick grass, it is a very close worker, typically staying within 25 to 30 meters from the hunter. They tend to be good pointers and they are natural retrievers with a soft mouth, as well. There is no specific effort to select for tracking but the more the dogs practise, the better they get. These dogs track, stalk, find and retrieve game. Giving voice is common and desired. The Turkish Pointer is mostly an upland dog but if they are trained, they may be successful at swimming, too. The breed was originally found in the Tarsus area, but nowadays you can see a few in other regions of the country. People who have them are basically hunters. The Turkish police force is interested in using the breed as narcotic detectives as well. But numbers are decreasing because it is not under the protection of any official club. It must be protected and officially known. Digitürk İZTV Çatalburun AV Köpekleri Belgeseli from Adana_DT on Vimeo.